The Deluxe Christmas Wreath is ready to adorn your door right out of the bag. Decorated with a red wire-edged velvet bow, pine cones and apples every detail is covered. Hanging this wreath on their front door has become a family tradition for many or ship to family and friends and they will think of you each-and-every time they open their door throughout the holiday season. 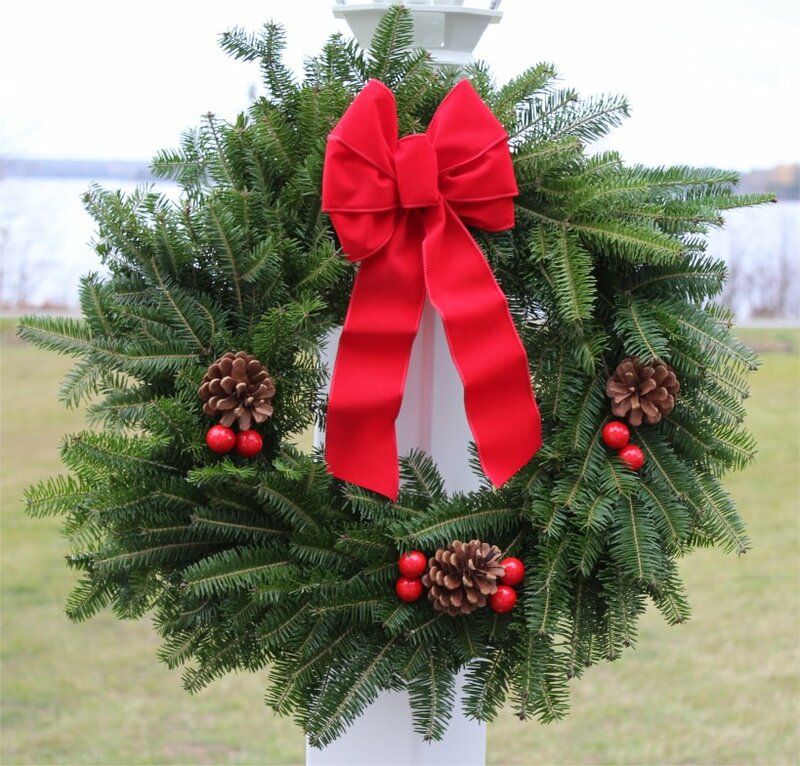 Our best selling wreath is handmade with fresh, fragrant Maine balsam fir and includes a personalized gift card if required. The holiday spirit will meet you at the front door and continue throughout the house with this holiday decoration essential. 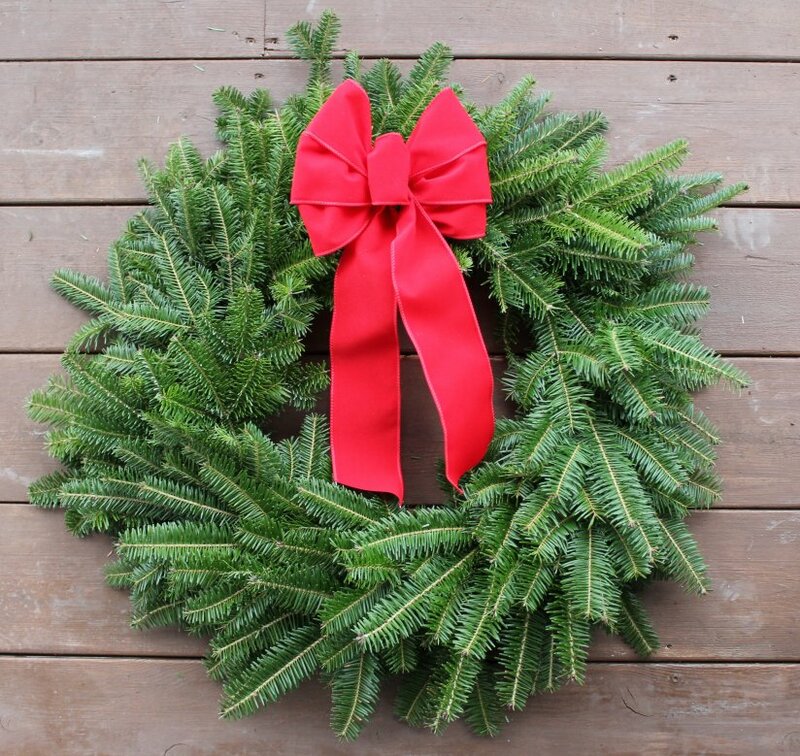 The Traditional Christmas Wreath is handmade of fresh, fragrant Maine Balsam Fir and it comes decorated with a classic red wire-edged velvet bow and is the ideal way to greet your holiday guests or send as a gift to those loved ones afar. A personalized gift card is included. 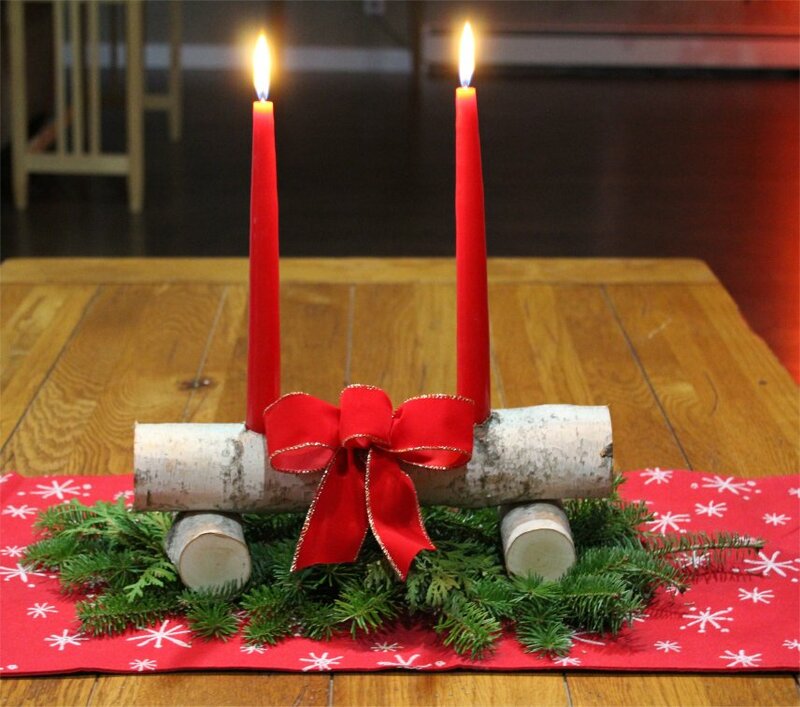 The Christmas Centerpiece is quickly becoming a favorite. It is handmade from Maine balsam fir, cedar and pine, placed is a floral foam, that can be watered to keep this item fresh for several weeks. 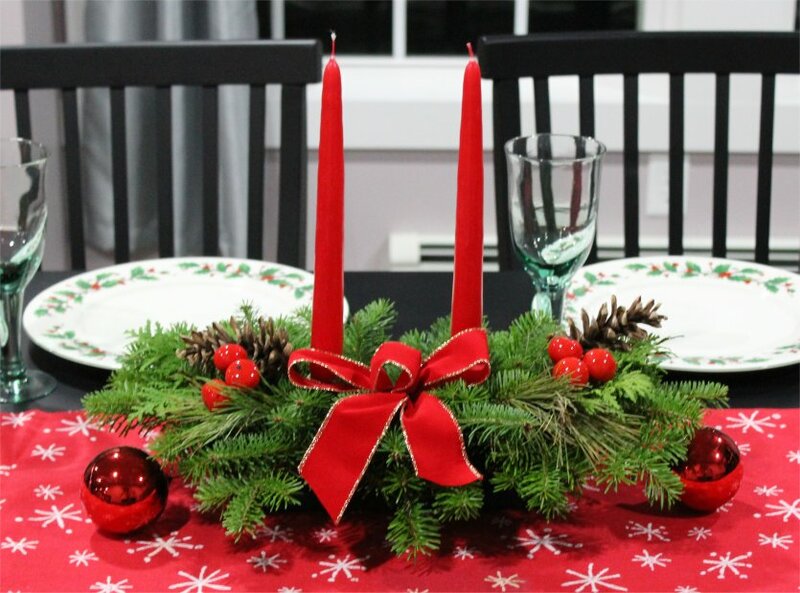 Accented with a candle, red bow, apples and pine cones, this fragrant centerpiece will bring a Christmas scent to remember to any home. A personalized gift card is included. The Holiday Swag fresh and fragrant balsam and cedar boughs are decorated with our red wired edge bow, berries and pine cones. 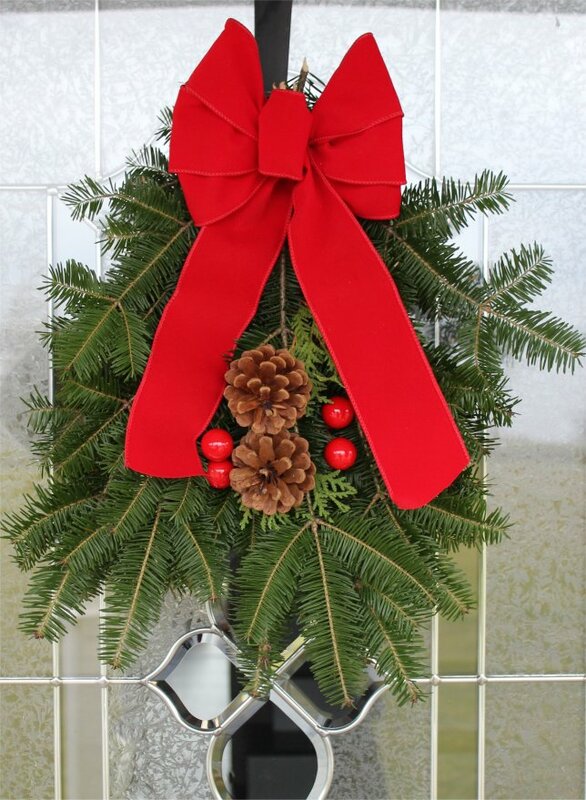 The perfect decoration for your holiday door or window at an economical price.